I love Soundfreaq speakers. They offer big sound in a small package, generally look pretty damn good, and are always very reasonably priced. 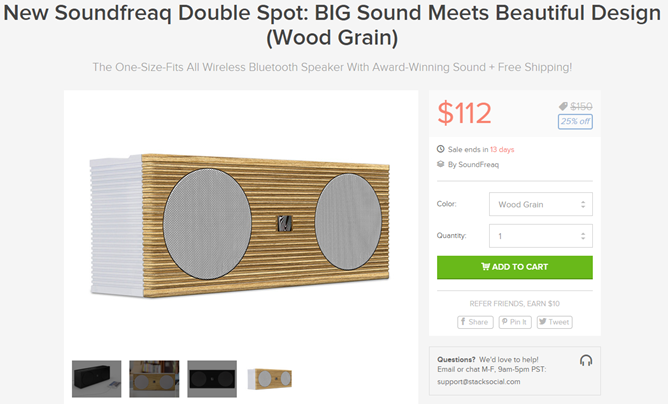 I reviewed the Double Spot a few weeks ago, which is probably my favorite Soundfreaq offering to date – it's a killer little speaker for $150. BUT! If you want it for fewer dollars, now's the time to buy. For the next two weeks, Stack Social is selling this mid-century modern speaker for $112, which is 25% off the normal price. 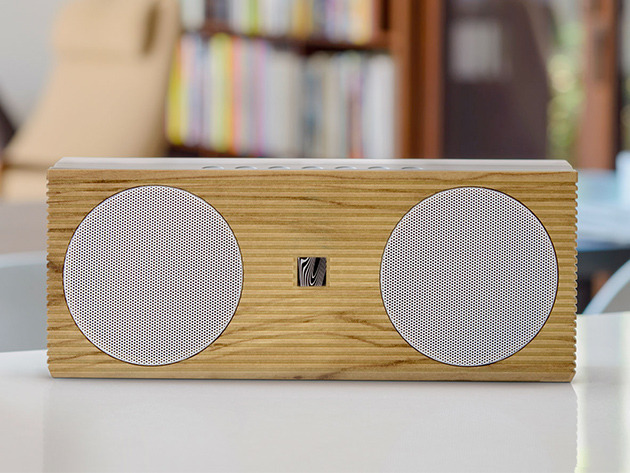 Both the black and wood grain speakers are available (the latter is my personal favorite), and shipping is free. The Double Spot features two Soundfreaq speakers, as well as three different EQ settings (warm, flat, and bright), and a unique setting called UQ3 that enables a sort of virtual surround feel to the music. It also features a user-replaceable battery, full-size USB port for device charging, and an AUX in for non-Bluetooth devices. It's a versatile little workhorse. Head below to grab yours.